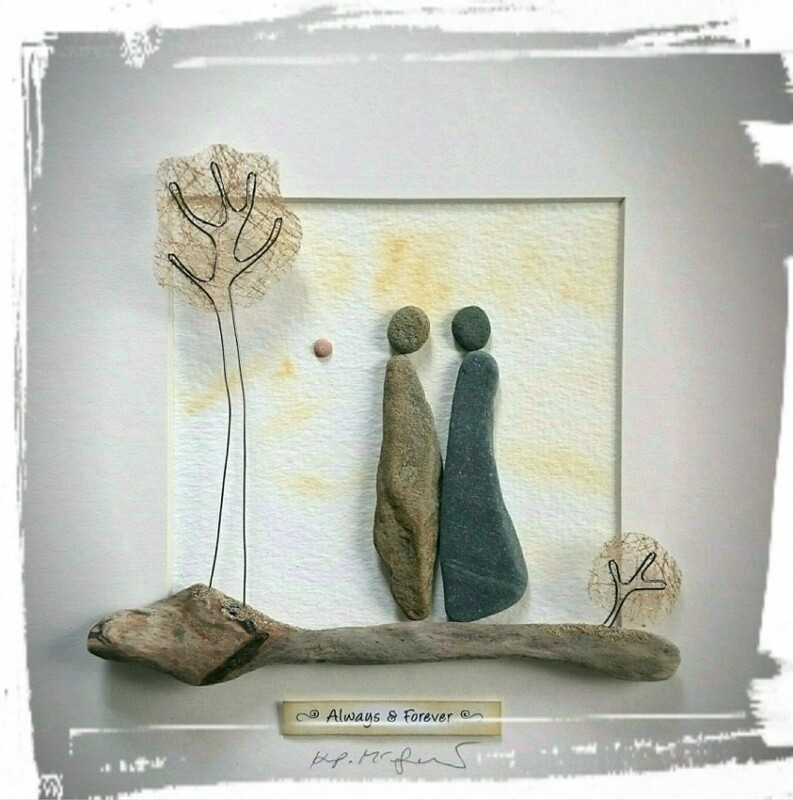 A unique range of pictures using pebbles, driftwood and found objects collected from the Inishowen Coastline and Wire Sculptural Pictures on a driftwood landscape. or direct from The Stone Art Gallery. A design graduate from the University of Ulster and the University of Wales I have extensive experience producing craft work for a wide range of people and organisations, ranging from small independent retailers to major institutions. As The Stone Art Gallery I try to create individual and unique pieces of art from seemingly inappropriate materials, allowing the materials themselves to dictate the outcome... 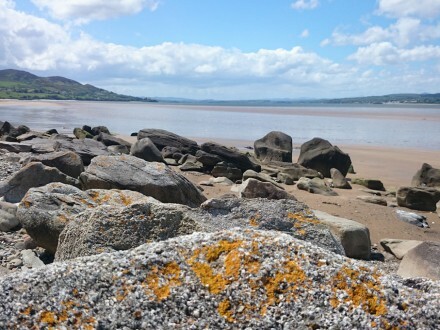 I savour getting lost on the beach or in my head as my inner child comes out to play and makes a mess that somehow becomes a picture that tells its own story. 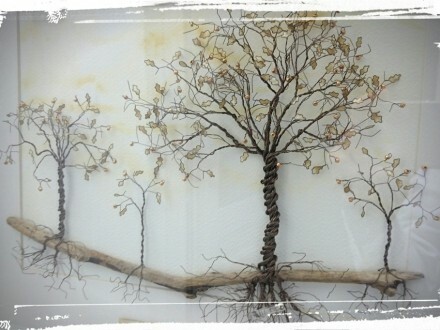 Three distinctive ranges are produced: Pebble Pictures using pebbles and found objects from the Inishowen coastline, Wire Sculptural Pictures using copper wire and paper and Wire Trees produced from twisted strands of copper wire. 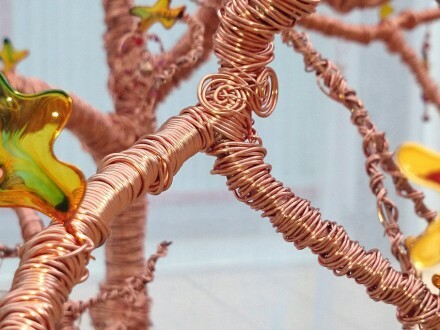 Every piece is individually produced with the materials themselves being allowed to dictate the outcome. 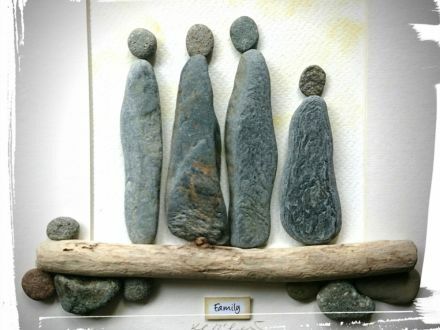 The Stone Art Gallery is currently listed on the Craft NI directory. Craft NI is the sector-lead body for the promotion and development of the design-led contemporary craft industry in Northern Ireland. 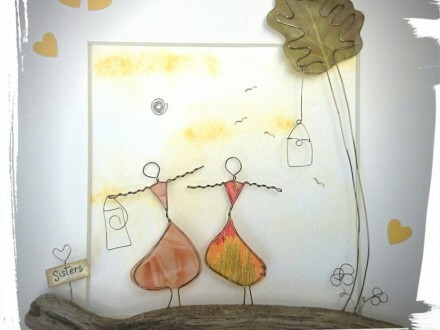 Ongoing – An outdoor exhibition bringing together the work of local crafters & artists. An exhibition for August Craft Month showcasing work and demonstrating it’s construction. 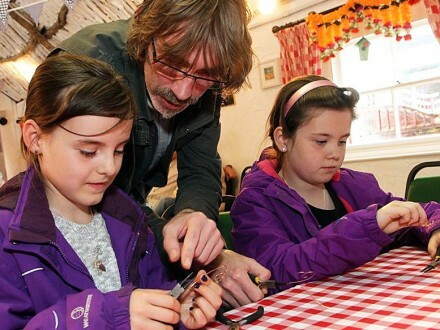 The Stone Art Gallery occasionally facilities Decorative Wire Working Workshops suitable for all skill levels. Workshops will be advertised in advance. All pieces are individually produced and can be completely customised for any event or occasion.